While USB microscopes of many brands and price are widely available on the market, their capability depends not only on camera lens capacity or megapixels come with the device. The significant role in overall customer satisfaction plays software which is used for image manipulations. Not always the software which is included to microscope delivery pack by default, is the best for these tasks. 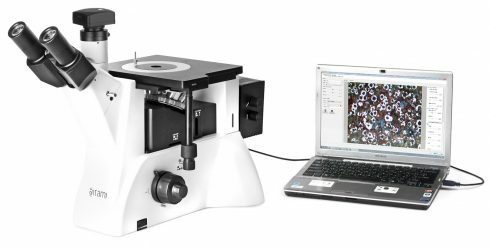 Third-party image processing applications could improve USB microscope effectiveness while keep compatibility with your device. This is why you can try Altami Studio software with your USB microscope for better results of macro-world exploring. The list of functionality you can expect from Altami Studio includes numerous possibilities for image measuring and marking. With Altami Studio you can measure the dimension between points, perimeter length, choose the point of interest and indicate the direction. There is also advanced functionality for live measuring. The special vector elements called figures could be used for comparing them with examined objects and for marking of images. Main purpose of figures is to define geometrical characteristics of objects received from the camera of USB microscope. Among vector-based measurements, Altami Studio provides a wide range of raster operations. You can change brightness or contrast the image, rotate it, crop or resize it, adjust alignment, find edges, broaden the image, convert it to gray halftone, etc. Third-party image processing software compatibility with your model of USB microscope is another issue to check. It is not convenient to use third-party application that requires some additional operations like file export or format converting to get the image to be processed. An instant image load and view directly from camera of USB microscope improves your productivity and device effectiveness. Altami Studio supports many models of USB microscopes cameras. The list of compatibility includes both general UCMOS, UHCCD / EXCCD, SCMOS and UVC interface devices and branded cameras of Point Gray, VisioSens, ScopeTek, Canon EOS / Canon PowerShot. Supported interfaces are USB 2.0 and 3.0, as USB 3.0 allows up to 5 Gbits/s throughput to take advantage for receiving high quality imaging from hi-res microscope cameras. Linux x64 - Ubuntu/Mint/RHEL/Debian/CentOS and etc.